The world #65 held her nerves to overcome Eva Birnerová in three sets, as Vishal Gajaria reports in this article for Tennis Stories. If you are not a tennis follower, her reaching the fourt round, sometimes known as the round of 16, means that of the 128 women who started the competition, only 16 remain—one of them Monica. Monica Puig of Puerto Rico continued her dream run, as she advanced to the fourth round of the Wimbledon Chmapionships 2013, after defeating Czech Republic’s Eva Birnerová 4-6, 6-3, 6-4 , in a grueling three-setter. The first set was domintaed by the 28-year-old Czech, who won 79% of the first-serve points and converted 2/4 break points, to grab the opening set 6-4, in 51 minutes. Puig, who reached the third round of the Roland Garros earlier this year, came back strong to bag the second set 6-3, in 42 minutes. After the match being thrown into the decider, both the opponents looked firm on their serve. However, Puig produced some sensational shots in the middel, which helped her steal a break, and eventually went on to take the third set 6-4 in 42 minutes, and ultimately booked herself a spot in the fourth round. 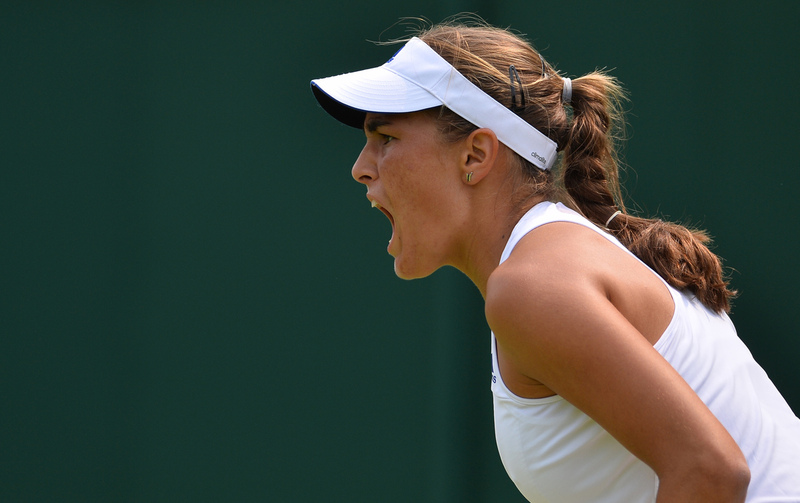 Monica Puig next faces American Sloane Stephens, seeded seventeenth for the tournament.